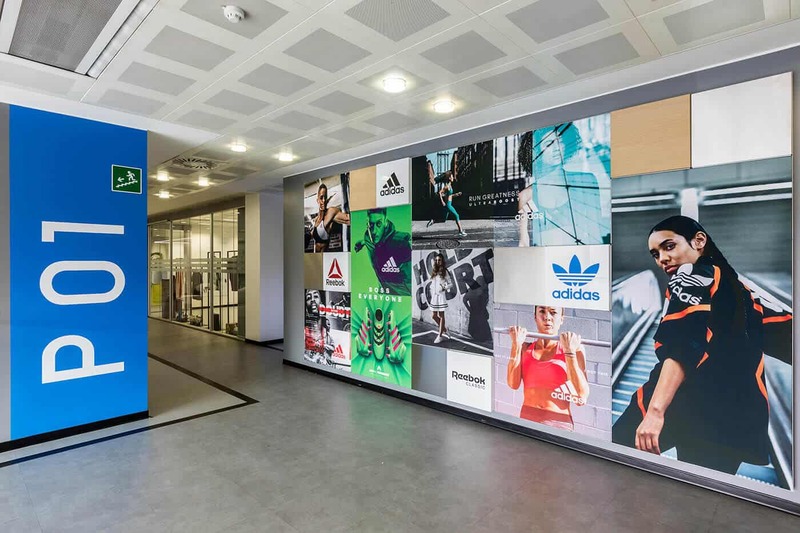 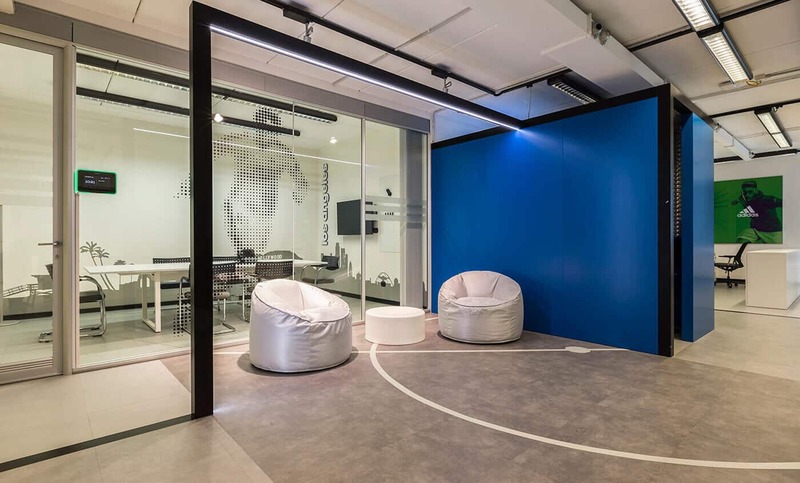 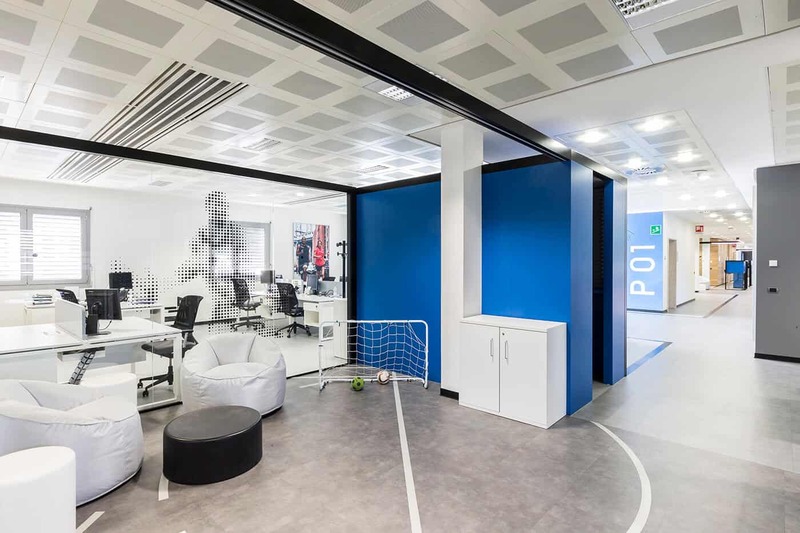 The design has focused on the renovation of Adidas offices in Monza, developed on two different buildings, on a total area of 3.000 sqm. 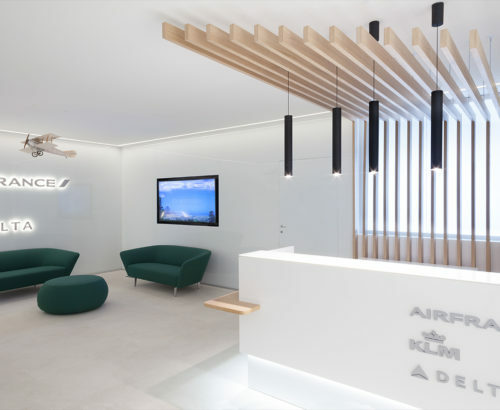 The project concerned the creation of new informal spaces destined to meetings, the design of a new reception area with an integrated waiting room and the creation of a new rest area. 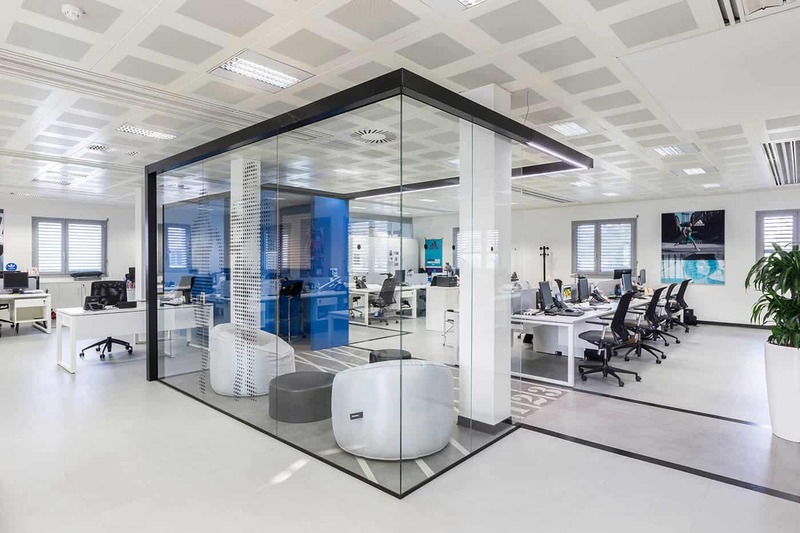 The preservation of the total number of workstations, while reducing the working area, allowed the creation of new support areas. 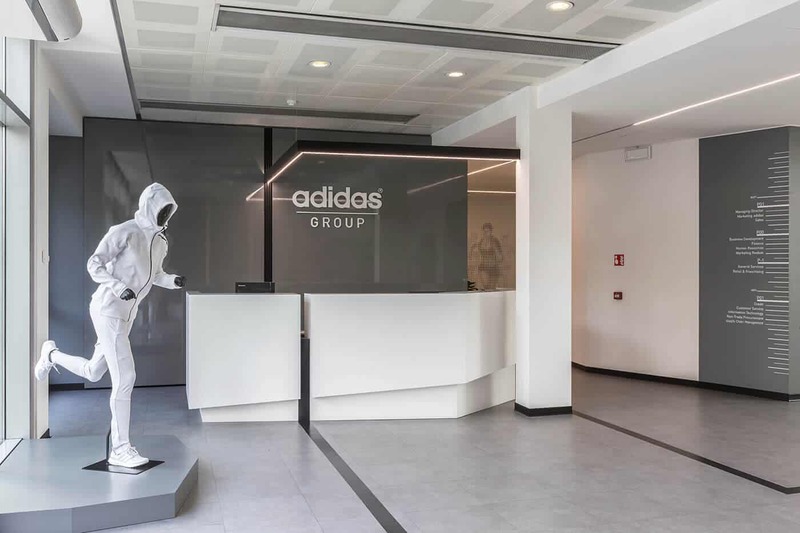 The new arrangement provides for a “connected” layout: the concept evokes the Adidas line. 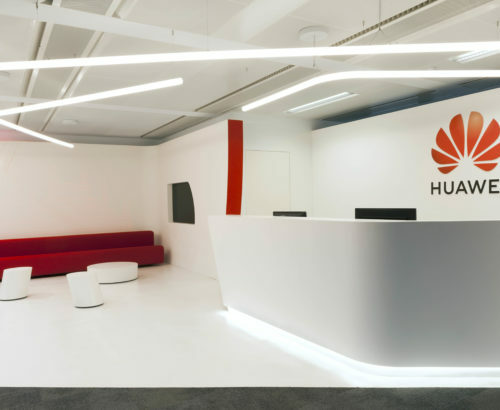 In this perspective, the line looks like a fil rouge that connects the different areas and is a variable element: we can find it on the wall of the reception, in the form of the corporate logo, it will appear in all the floors firstly as an element of support, progressively transforming into a structural component and into a lighting element. 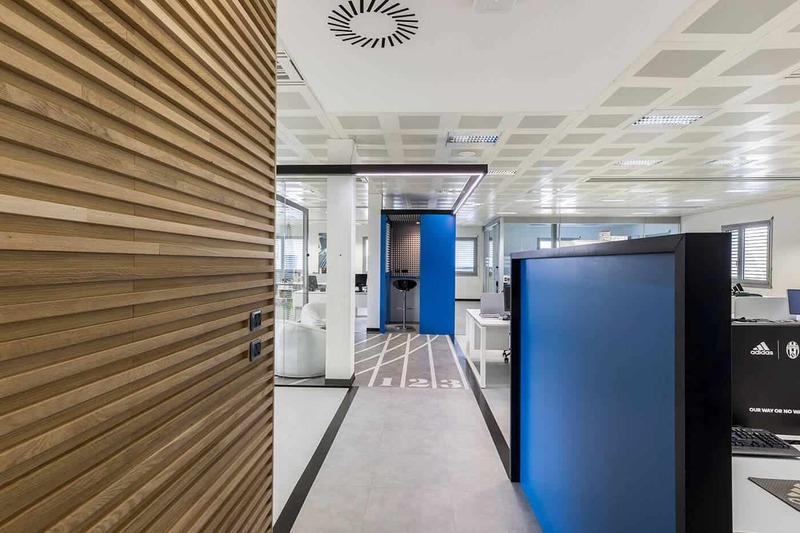 The circulation originating from this layout has a dynamic style, with workplaces located on the perimeter and support areas dynamically inserted inside and outside. 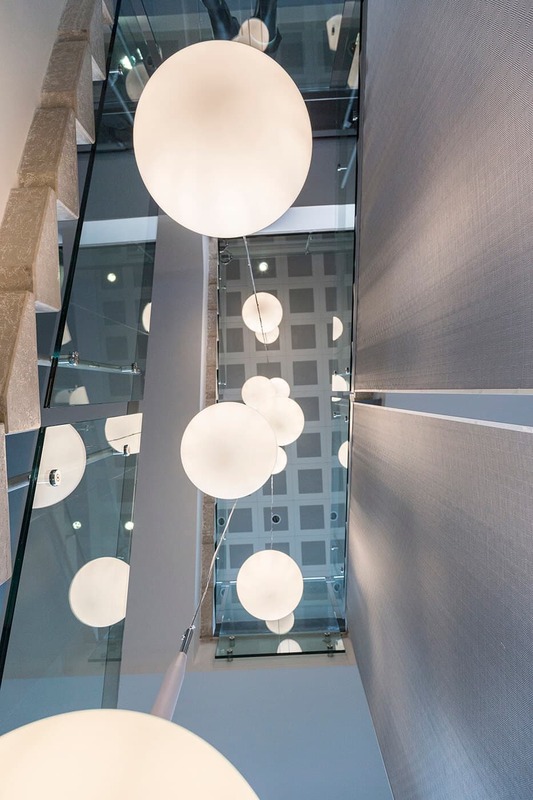 The keywords of the interior design are: young, dynamic and modern. 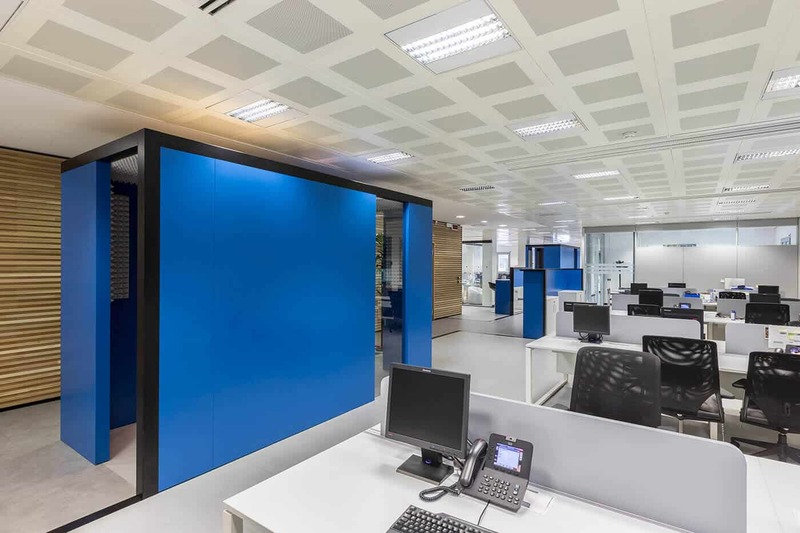 The colors are the corporate ones, such as white, black and grey. 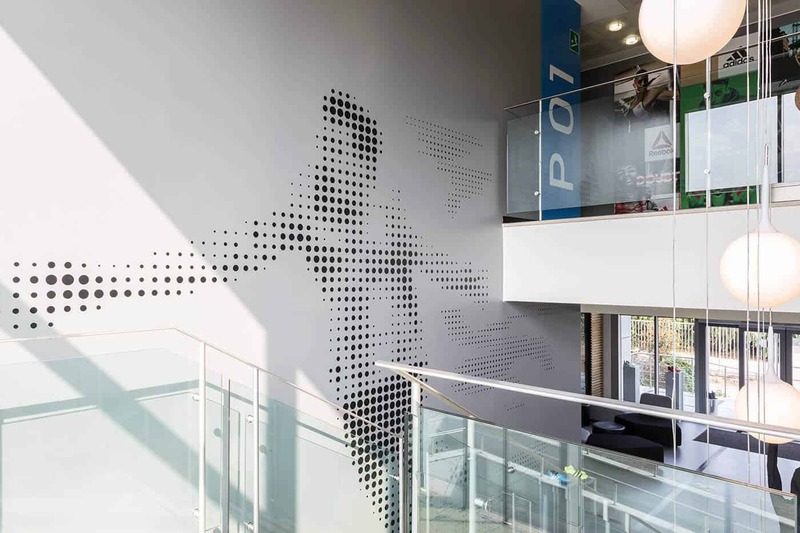 There are also some themed “squares”, representing different sports; these have been enclosed by transparent glass walls with stickers, these are graphic elements that recall the theme sport of the square. 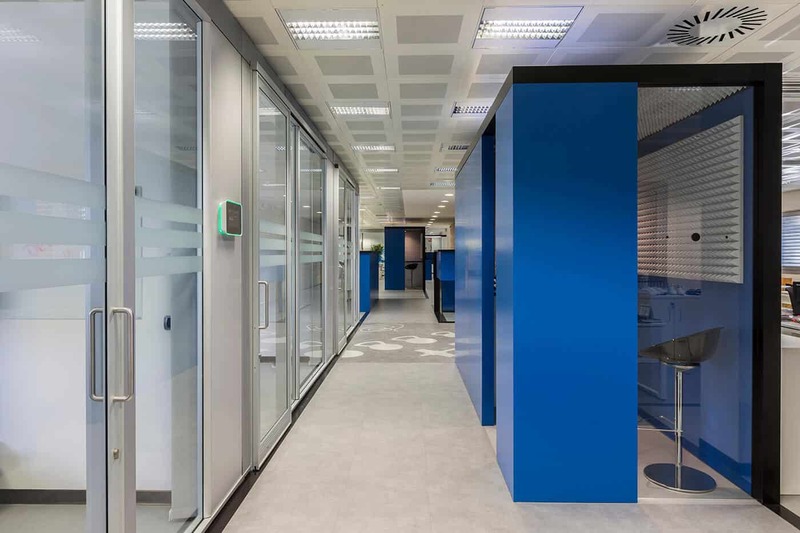 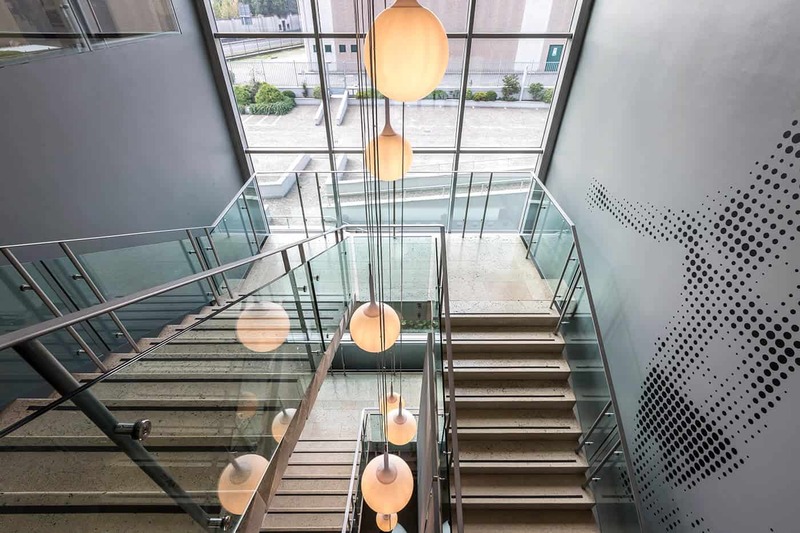 In this context, the glass and metal moving walls have a double value, both aesthetical and functional, meeting different requirements: to separate environments, to conceptually connect the whole building and to decorate the environment thanks to graphics that appear as suspended in the air. 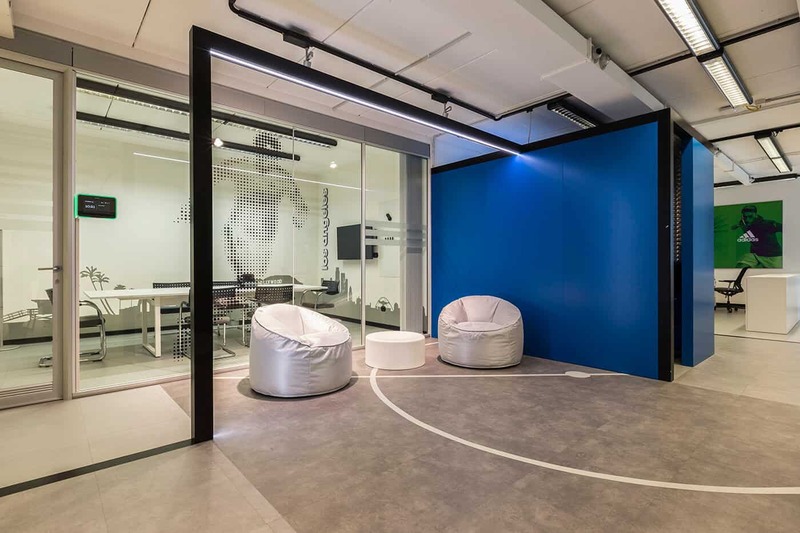 The overall objective of the project is to bring the retail and commercial soul within the workplace but most of all to put considerable weight on the brand, increasing motivation and the staff’s sense of belonging.